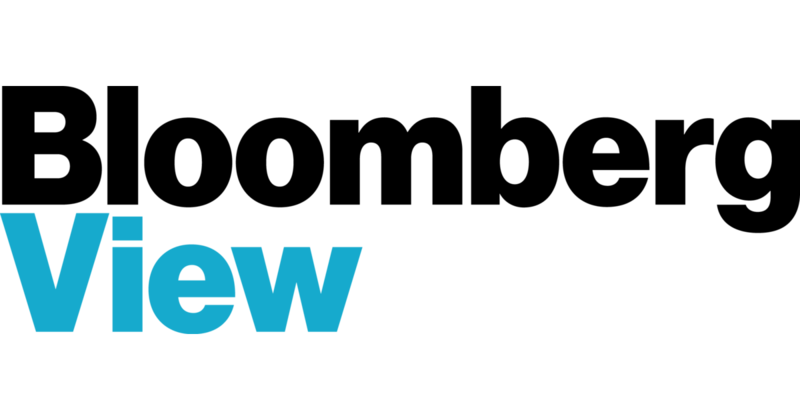 A country report typically contains 30-40 pages of analysis of the economy in terms of the New Economic Metrics, including comparisons with relevant other countries and products. 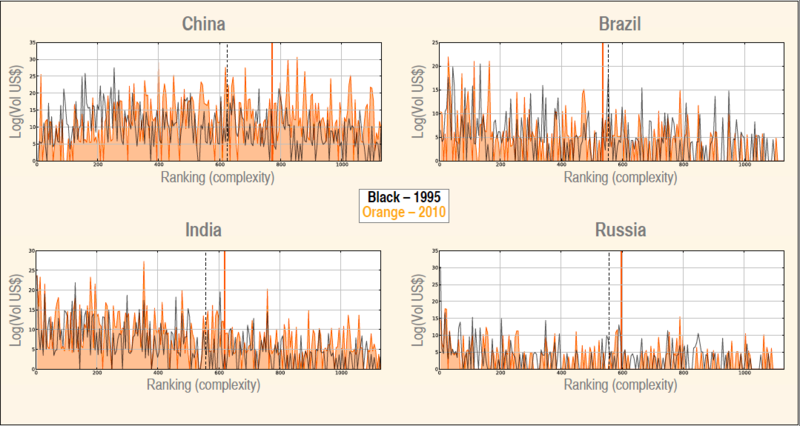 Another aspect of a country analysis is ability to plot the ranking of country fitness over time and to give insight into non-monetary features of economic systems. 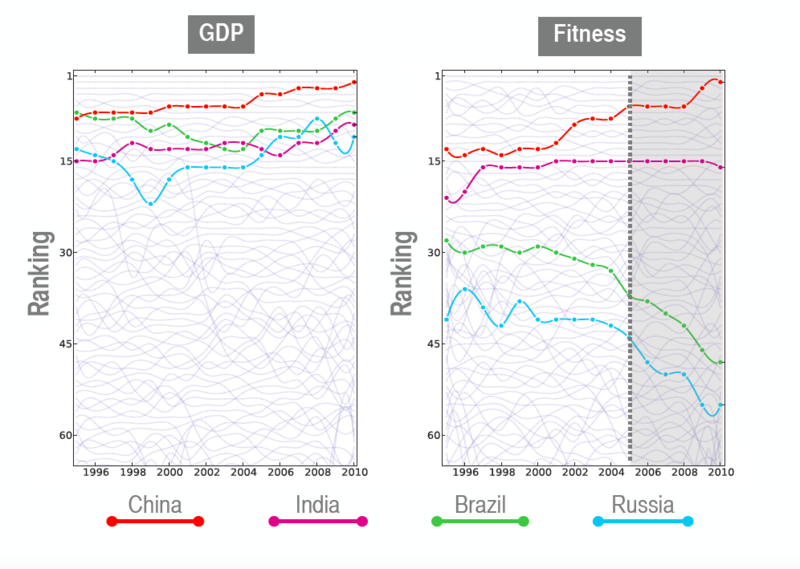 In the example below you can see how the fitness evolution of China/India and Brazil/Russia diverge - a leading indicator of GDP development. 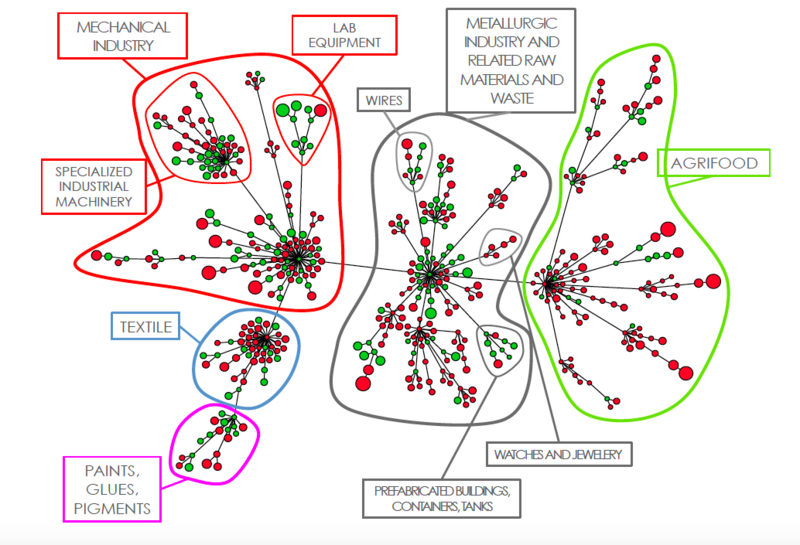 A elements of a country diagnosis would be established together with the client - and also include the latest scientific development in the methodology.